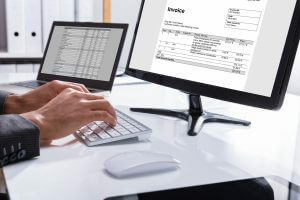 An accounting system is an assemblage of interconnected processes intended to amass, organize, and account for an organization’s transactions. The ultimate goal of this bookkeeping system is to engender informative reports to sustenance an organization’s decision making. Managers can make well-informed decisions based on the knowledge they gather from these reports, which are generated through an automated system. In order to assimilate a novel and efficient system of accounting into your business, you should follow a step-by-step approach. The implementation of this approach for your accounting system includes a series of steps that must be undertaken before you are ready to go digital and say goodbye to your old ledgers. The following list of steps is a theoretical impression for the implementation process in a standard organization. Factors such as the proficiency of your IT department, available resources, and ability to adapt to change will influence the design and related implementation stages that are essential to achieving the go-live plan. Before you start with anything else, it is imperative to devise a proposal in the form of a project plan and perform a cost-benefit analysis of the whole project. Rest assured, the benefits far outreach the costs if you are serious about running a professional business. The plan should include the timelines, key milestones to be achieved, and a list of all required resources for the project. Planning is the most critical phase of the whole implementation because key details need to be kept in mind for everything to go smoothly. An implementation of an accounting system has to be managed carefully. You must designate an individual who serves as a project manager. The job of the project manager is to lead the entire process and form cross-functional teams. Members of the team represent all of the departments that have a vested interest in the system who will be using it in one way or another. Since these departments will eventually be the end users, it is vital to have their input in the implementation process. Bad data is one of the main reasons for nuisances when you move over to a new system. If you know there is imprecision in your books, bad transaction coding, invoicing issues, and other areas that need to be fixed, you should always prioritize this. Trying to start fresh without getting rid of old mistakes can result in a huge blunder. Even the best system in the world would not be able to help you if you have issues related to the credibility of your data. The project manager is responsible for designating a special team with the sole job of removing bad clusters of data and repairing them for reuse in the new accounting system. As most of your old data needs to be transferred to the new system, a data conversion plan must be devised. Mapping the data according to the new format is the key highlight of a conversion plan. Depending on the format support of both the old and new systems, the conversion can vary from being relatively simple to highly complex. Therefore, before you choose the new system, it is important to gather all of the technical details about it in order to avoid complications later on. Once all data is transferred, the accounting system needs to be pilot tested in order to ensure that it is working perfectly. Apart from being technically sound, you need to acquaint the key people in your company with the new system so that they can efficiently work with it. Arrange a conference room pilot testing for everyone so that they can learn about the key features from an expert hands on. You may need to hire someone for the training session or you can do it yourself. Once everyone is on the same page and your employees understand how to work with the new system, it’s time to configure it to their devices and reap all of the benefits. The new accounting system will be able to generate better, more detailed financial reports such as balance sheets, income statements, cash flows and other reports that can greatly assist you in making key decisions for your business.